KIEV, April 1. /TASS/. With 5% of ballots counted, the Servant of the People political party candidate Vladimir Zelensky and current president Pyotr Poroshenko remain the leaders of the presidential race in Ukraine. According to the Central Election Commission’s online vote count, Zelensky holds the lead with 28.7% of the vote, Poroshenko is the runner up, garnering 17.31%. The leader the Batkivshchyna party, Yulia Tymoshenko, trails closely behind with 14.61%. She is followed by Yuri Boyko, candidate from the Opposition Platform – For Life, who has 10.43%. The last candidate in the top five is Anatoly Gritsenko of the Civil Position party with 6.81%. 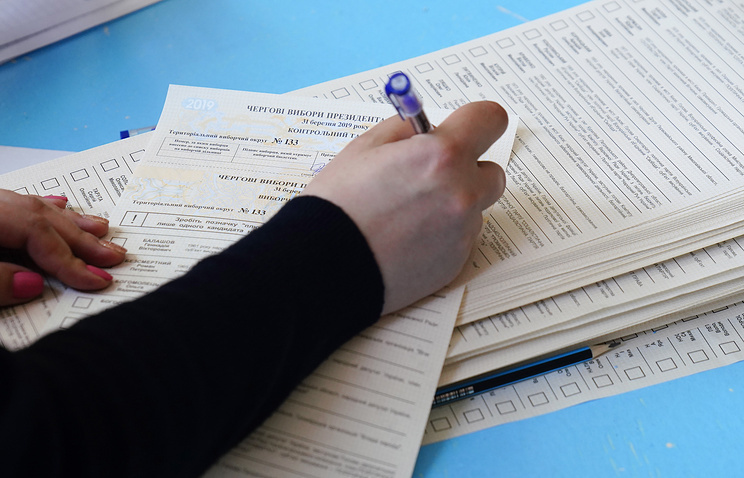 According to exit polls published after the polls were closed, Vladimir Zelensky and Pyotr Poroshenko enter the second round, which is scheduled for April 21. The preliminary turnout stood at 63.48%, the country’s Central Election Commission said earlier in the day citing data obtained from 198 out of 199 district election commissions. Hey Buddy!, I found this information for you: "Zelensky, Poroshenko retain lead in Ukrainian presidential race as 5% of ballots counted". Here is the website link: https://russophile.org/zelensky-poroshenko-retain-lead-in-ukrainian-presidential-race-as-5-of-ballots-counted/. Thank you.